Callie was due on 3rd November. I had convinced myself she would be early so was surprised to find myself in a meeting with the consultant to discuss options for if I was to go overdue by 2 weeks. The options were induction or a planned caesarean. 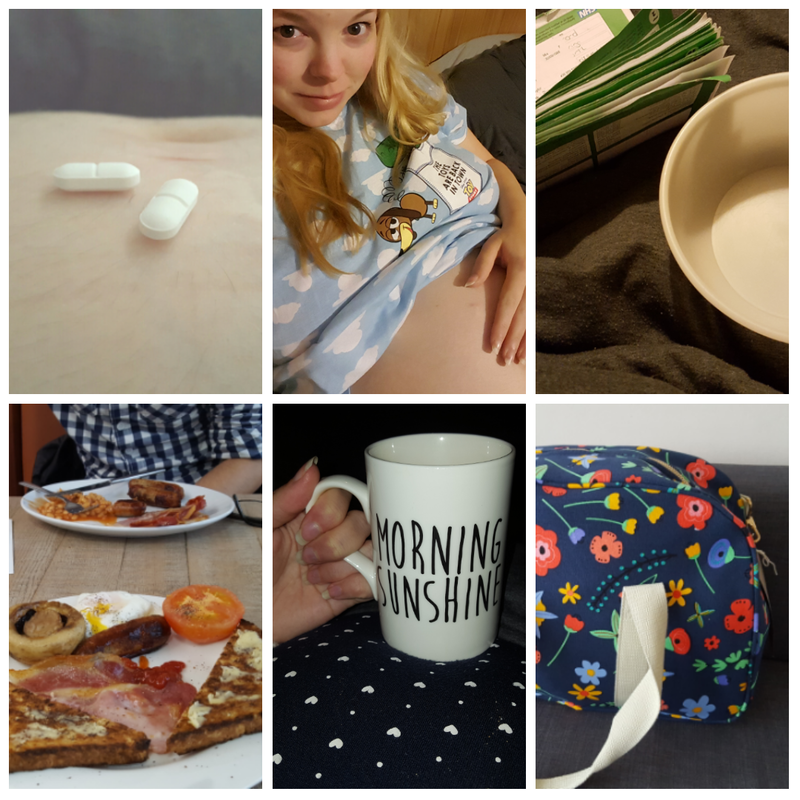 Adamant I did not want a c-section, having had my heart set on a VBAC, I made plans to be induced on 14th November and opted to have a stretch and sweep to try and move things along. A decision I lived to regret a little as the consultant wasn't gentle with me and the sweep hurt more than any of the ones I had with Ted. Stretch and sweep done, feeling very sore, I went home to rest. By mid afternoon I had lost some of my mucus plug (a show) and began to have minor contractions. These were 10ish minutes apart and not overly painful although more uncomfortable than braxton hicks. I called the hospital and was told that it is a good sign but to stay at home until I was having 3 in 10 minutes. We called my parents and packed Ted an overnight bag assuming that baby was on her way. Telling him the next time we see him he would be a big brother we dropped Ted off with my family and went home to relax. Realising I would need sleep if I was going to push a baby out I forced myself to go to bed early but woke in the morning to find my contractions had almost stopped! I knew I needed to keep moving so we went to the garden centre for breakfast and I started to get a few more mild contractions but still nothing major. We went home for the rest of the day then went to have dinner at my parents with Ted, who was rather annoyed that I hadn't brought a baby with me! Leaving Ted that night was hard. My hormones were in full swing and I missed him so much. I worried about something happening in labour and not being around for him. I eventually fell asleep around midnight with no further contractions but having lost the rest of my plug so things were slowly moving forwards. As I drifted off to sleep I made a little wish that tomorrow would be the day we met our baby girl. The next part is quite eventful and exciting so I will share in the next post!